BMW has just unveiled a redesigned X5, and one of its main rivals, the Mercedes-Benz GLE, will soon be redesigned as well. 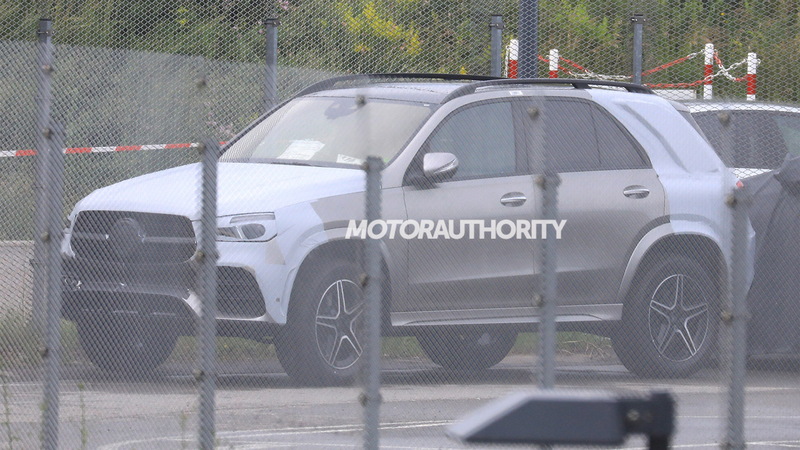 We now have fresh spy shots and video of prototypes for the new generation of the Mercedes mid-size luxury SUV. The current GLE was introduced for the 2016 model year but is really just an update of the M-Class launched in 2012. We expect the redesigned model on sale in late 2018 or early next year. It should arrive as a 2019 model. 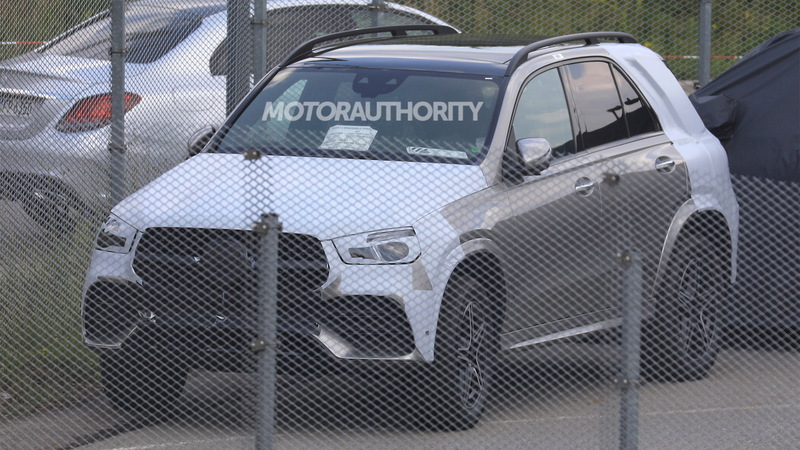 2019 Mercedes-Benz GLE spy video from Motor Authority on Vimeo. We know this is a GLE because of its size and proportions but also because one of the earlier testers had a “W167” inscription on its rear. The current GLE is referred to internally as a W166. 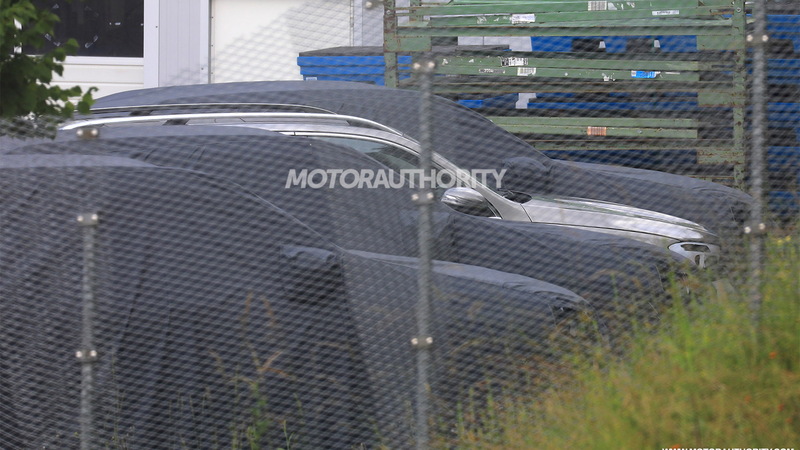 The vehicle is now hardly disguised and we can make out a number of new details such as the massive grille and more angular headlight shape. The designers have also adopted a more rugged look for the body, with wide wheel arches leading into a narrow cabin. It’s a shape that more closely resembles the strong lines of the iconic G-Class. A photo of the cabin reveals a layout similar to what we see in the E-Class. The dashboard features the now familiar dual-screen design and in the center console should be smartphone-like screen serving as the main controller for the infotainment system, which incidentally should be the new MBUX system found in the latest A-Class. The redesigned GLE will be the second model to ride on Mercedes’ MHA platform for SUVs sized from the GLC up (excluding the G-Class). The platform is closely related to Mercedes’ MRA platform found in most of the automaker’s sedans and coupes and made its debut in the GLC. 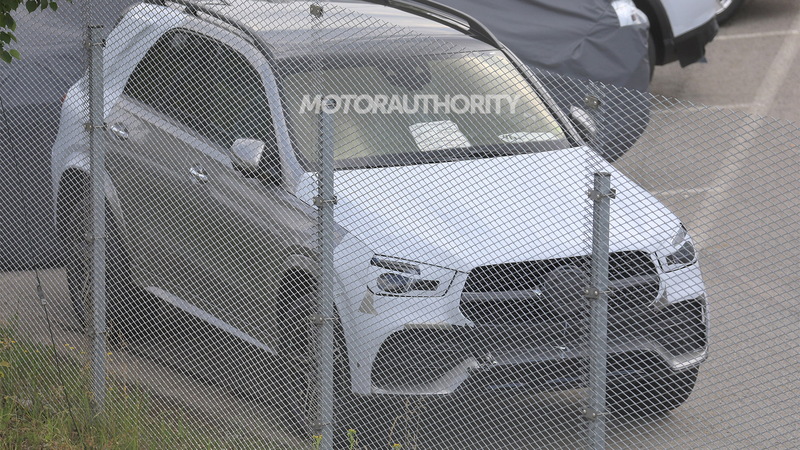 A redesigned GLS is also in the works. 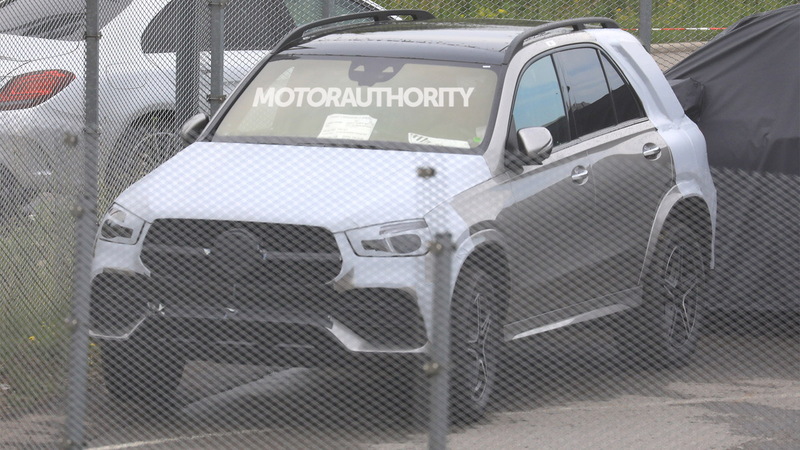 Powertrains should include Mercedes’ latest inline-4 and -6 engines plus a twin-turbocharged 4.0-liter V-8 reserved for the Mercedes-AMG GLE63 variant. Diesel and plug-in hybrid options should also be on offer, though the former isn't likely to make it to the United States due to the fallout from the Volkswagen Group's diesel emissions scandal. A nine-speed automatic and all-wheel drive should be standard on most models in the range. Should the current SUV craze continue, a new generation of the GLE Coupe should follow shortly after the redesigned GLE. Stay tuned for updates as development continues.